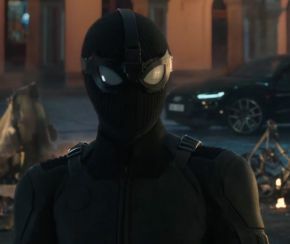 After being pushed back a few months, Sony has finally unveiled the first official trailer to the highly anticipated sequel, Spider-Man: Far From Home. Set after the events of Avengers: Endgame (2019), the web-slinger’s latest outing will see him travel across Europe during summer vacation with his friends in the 23rd instalment of the Marvel Cinematic Universe. Spider-Man has had a pretty good time recently, with the incredible PS4 game, the phenomenal response to Spider-Man: Into the Spider-Verse (2018), plus his brilliant appearance in Avengers: Infinity War. This movie looks to continue that streak. Far From Home is set to bring back all of the main cast from Spider-Man: Homecoming, including Tom Holland as Peter Parker/Spider-Man, Marisa Tomei’s Aunt May, Jon Favreau as Happy Hogun and Zendaya and Jacob Batalon as Peter’s friends Michelle Jones (MJ) and Ned. But this will also see the wall-crawler teaming up with Samuel L. Jackson’s Nick Fury and Cobie Smulders’ Maria Hill, who were last seen during the devastating events of Infinity War. The movie looks incredible and surprisingly, the trailer doesn’t spoil much. It shows his two new suits in action (including the Noir inspired Stealth Suit), and it provides a few hints as three different villains, with what looks like Hydroman trying to drown Peter, and a large, dusty rock creature. But these will play second fiddle to the main antagonist, with the long awaited cinematic debut of Mysterio! Played here by Jake Gyllenhaal in all his menacing glory including his iconic fishbowl head. This looks set to be another amazing addition to Spidey’s cinematic outings, and a great beginning to the next chapter of Marvel Studios. Spider-Man: Far From Home will be released on 5th July 2019.